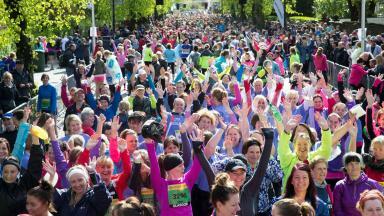 Glasgow Life will now concentrate on the Great Scottish Run after declining participation. A women's 10K race has been scrapped after more than 25 years. The Great Women's 10K was first run in Glasgow in 1993 and since then has become a major fixture in many runners' calendars. However, Glasgow Life said the event had seen declining numbers of participants amid competition from other runs in Scotland and around the UK. A spokeswoman for the organisation said: "The Great Women's 10K was introduced in 1993 in order to encourage more women to participate in sport and this goal has been achieved. "Female participation in the Great Scottish Run 10K event has been higher than the Great Women's 10K for the past two years. "Therefore, we will instead concentrate our resources into the further development of the Great Scottish Run, rather than continuing to deliver an annual 10K event which is decreasing in popularity and facing more and more marketplace competition." In a statement sent to people planning to run this year, the Great Run Company said: "First introduced 25 years ago to encourage more women in Scotland to participate in running events, the Great Women's 10K was the first of its kind. It has been so successful in achieving that goal that we now see more women taking part in similar events than ever before. "We wanted to take the opportunity to thank you for supporting the event over the years and for helping to make it such a success."